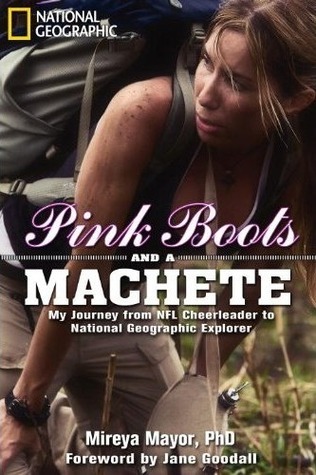 The title of this new memoir about pink boots and a machete by Mireya Mayor intrigued me. How would the pink attire match the long knives? Turns out it’s the inspiring story of Mireya’s journey from Miami Dolphin cheerleader to Fulbright Scholar to well-respected primatologist. That’s just a part of her resume, and you can also add mom with two daughters as well as pregnant with twins! 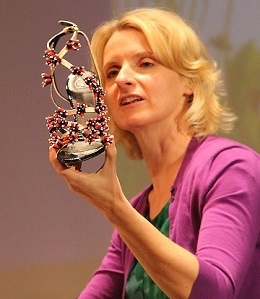 The Wild Life Bio on her website explains how primatology became her passion. Fascinated by anthropology in college, she applied for a grant to spend a summer exploring in a Guyanan jungle. Fueled by this experience, the next year Mireya went to the remotest of parts of Madagascar to study endangered animals. That fascinating trip hooked her on studying primates in the wild for life. 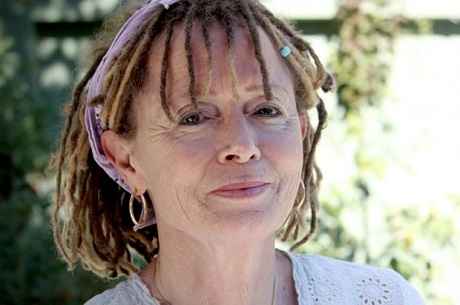 The National Geographic discovered her on that island in the Indian Ocean and offered her a job as a staff wildlife correspondent. Dr. Mayor (she has a Ph.D. in anthropology) appeared on “Ultimate Explorer” as well as on her own show “Wild Nights with Mireya Mayor” on their channel WILD! 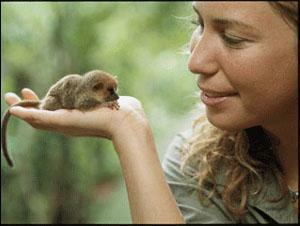 In spite of all her travels, this dedicated anthropologist-primatologist’s love is the rain forests of Madagascar. She worries that this natural laboratory could vanish in our lifetime. “Until I can walk away in good conscience, knowing it’s going to be okay, I just can’t leave,” Mireya told the National Geographic. Now, that is dedication! I can’t think of a better woman to be Person of the Day as we begin a new year than Sally Gordon, who is 101 years of age. She’s known the oldest living worker in the country, having toiled for some 84 years. Recently the Today Show paid tribute to Sally. As they mentioned, she continues to get up early in the morning, dress up, put on make-up, and walk to work from her home near the Capitol. 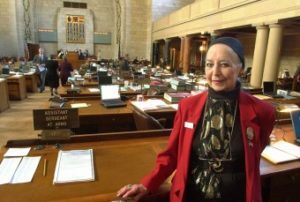 She is the assistant sargeant-at-arms for the Nebraska Legislature, a job she’s held for some 27 years. This former model has no plans to retire. 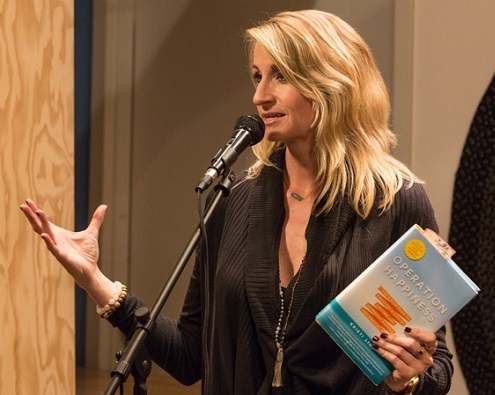 She told reporter Amy Robach on “Today” that when she gets to the point where she can’t keep up, she will quit as she doesn’t want to be a failure. Until then she’s known to have more energy than most people in the Capitol. What a role model!!! 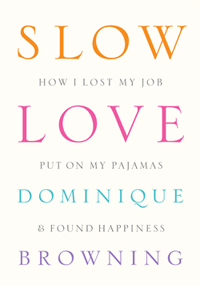 There’s a fascinating interview by Patti Verbanas in New Jersey Life, Heath and Beauty Magazine with Dominique Browning, the author of “SLOW LOVE: How I Lost My Job, Put On My Pajamas and Found Happiness”; the beautifully crafted blog SLOW LIVE LOVE; and many books. 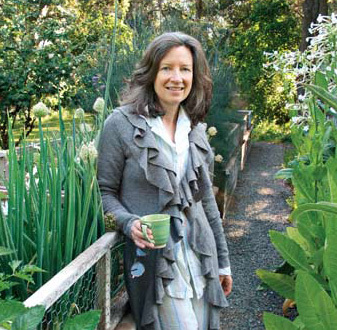 She’s always been one of my favorite writers and editors ever since she put House & Garden Magazine on the map with its fascinating articles and beautiful layouts. 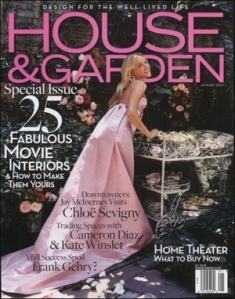 Remember the gorgeous covers? Her most recent blog proclaims December to be the Month of Gratitude. The idea was sparked by an unusual nativity scene she spotted outside a church in Tiverton, Rhode Island. 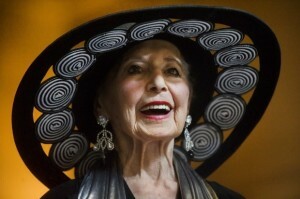 Check out the blog and you’ll see her heartwrenching photograph of an unforgettable group of carved figures. It’s definitely not your average Christmas scene. 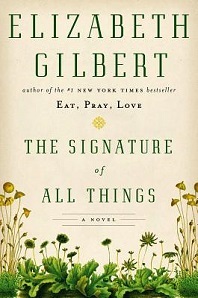 The recent book, as you’ll see in this New York Times review, is a moving study of her life as it fell apart in 2007. Overnight her beloved magazine folded after 12 years under her helm and she found herself living in Rhode Island in a whole new environment. 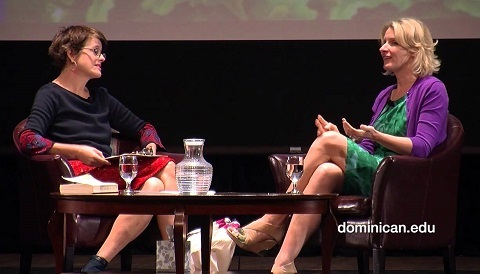 The journey back to happiness that she describes opening and honestly is a wise and comforting one. 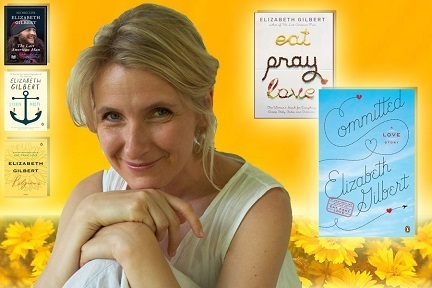 Her website is very special and definitely worth checking out. She now makes time to enjoy and document every moment with eyes that take it all in.